We just took in on trade this super nice, rust free 2006 Chevrolet Tahoe LT 4WD finished in an original summit white clear coat exterior over a super fresh cashmere leather interior. This Tahoe comes loaded to the gills with dual power and heated front seats, power moonroof, power foot pedals, rear entertainment DVD system, dual zone automatic climate control, third row seat, and 18'' aluminum wheels. 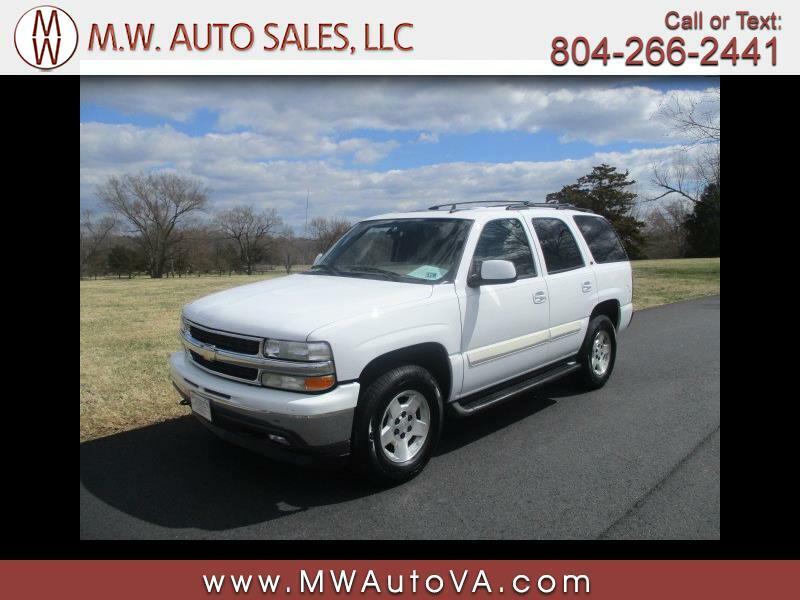 This is a local Virginia truck that has been very well maintained and has many more years of dependable service left.